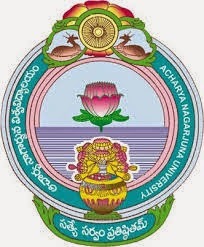 Acharya Nagarjuna University CDE Academic Year 2018-19 Notification is released. The eligible and interested candidates can apply at the respective study centers of ANU CDE on or before 25.09.2018. 1. As per the recent guidelines announced by UGC, The science, Technical and Management courses are doped from distance education program. 2. According to the released, notification there are no B.Sc group, MBA, MCA courses in distance education.